Dwór Konstancin – three – star hotel located as little as 12 km away from Warsaw is a place where tradition and luxury go together. 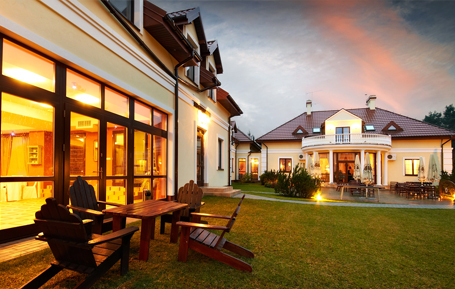 Perfect location in the only Mazovian Health Resort – the very heart of Chojnów Landscape Park, discreet atmosphere and endless possibilities of rest and relax make the uniqueness of this place. Courtly intimate and professional atmosphere is guarded by our irreplaceable staff team. Visiting this magical spot is a natural way to combine business with rest and relax. The atmosphere of the hotel, along with the wild forest surrounding, give opportunities to organize various business meetings and family gatherings. Dwór Konstancin- three - star hotel with a restaurant located only 12 km away from Warsaw is a place where tradition and luxury go together. 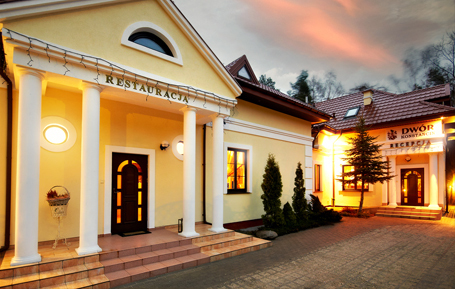 Manor atmosphere is fulfilled with the original menu which consists of traditional Polish and international dishes. 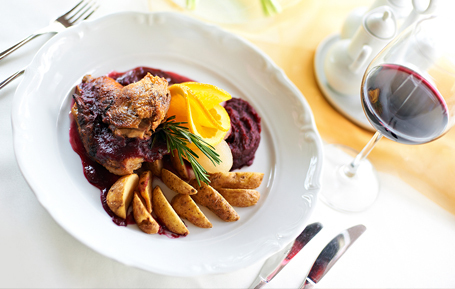 The author of this manor menu is our experienced chef – Krzysztof Litwinowicz.